Smart phones including the iPad use the cache technology to improve internet laoding speed. Users can easily access previously visited pages quickly as well as fill forms they’ve filled in before, making the experience faster. Cache is not limited to Safari or any browsing app for the matter, but to all apps. That’s why you’ll see an app like Twitter taking up to five times of its app size. However, cache accumulation will easily eat up huge space and cause some issues, like speed slows down, app crashes, iPad restarting, etc. That's why it's suggested to regularly clear cache Safari iPhone/iPad. 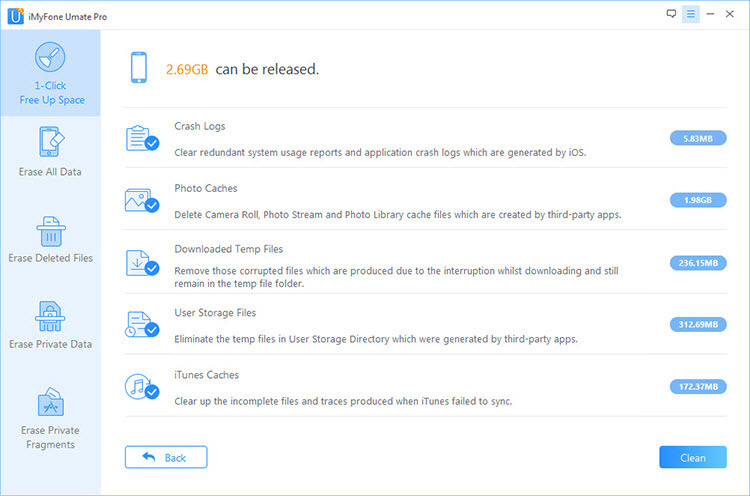 First we will go through the steps that you can follow in order to clear cache Safari iPad/iPhone through iOS Settings App. Step 1: Launch the "Settings" app on your iPad through the home screen. Step 2: Scroll down the menu and select "Safari". 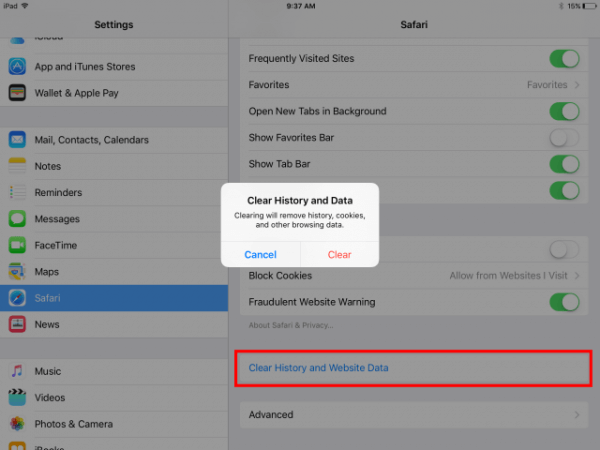 Step 3: Scroll down to the bottom of right hand panel and tap on "Clear History and Website Data". Step 4: Confirm by tapping "Clear" from the pop-up window. This common method, clearing Safari caches iPad in Settings may be easy. However, manually doing it step by step, day by day may cause a lot of frustration for most users. Besides, all apps store cache files on iPad, not only Safari. And most of these apps do not have an option to clear iPad caches, so how could we clear these useless cache files stored in other Apps? Clean All iPad Caches & Temporary Files: No matter you run which app, useless cached files or temporarily files will leave on your iPad. All these caches on your iPad can be thoroughly cleared by iMyFone. And this is totally free. Erase Fragments of Third-Party Apps: Incomplete fragments will be produced when using third-party apps. Some of them still stay even when you uninstall the apps. You should permanently erase them to make your iPad clean! The famous media macworld.co.uk also reviewed iMyFone iPad Eraser as an effective cache cleaner for iPhone. Step 1: Run the iMyFone Data Eraser on your computer, connect iPad device to PC so that the program can detect it. Step 2: Go to Junk Files option, Click on "Scan" button and the program will do a full space-saving analysis for your iPad. Step 3: Click "Clean" button and all App caches will be cleanned. Note: For erasing App fragments, you should go to the "Erase Private Fragemnts" mode. Manually deleted Safari cache and data can be easily recovered with the right tool. iMyFone iPad Eraser gives you the opportunity to permanently clear Safari cache on iPad. Deleted Safari cache is 100% unrecoverable then. It can permanently erase existing Safari cache, cookies and history on iPad, 100% unrecoverable. It can find out previously deleted Safari history and completely erase them. All current and previously deleted private iOS data can be erased just 1 click. Step 1: Choose an erase mode. Here we take "Erase Deleted Files" to erase deleted Safari history for example. Then hit "Scan" button. Step 2: Your previously deleted data will be displayed. Check "Safari History" and then hit "Erase Now" button. Cofirm it by typing "delete" into the box. For privacy protection, if you share your iPad with friends or other family members, or want to sell your iPad, then simply deleting Safari Caches is not enough. 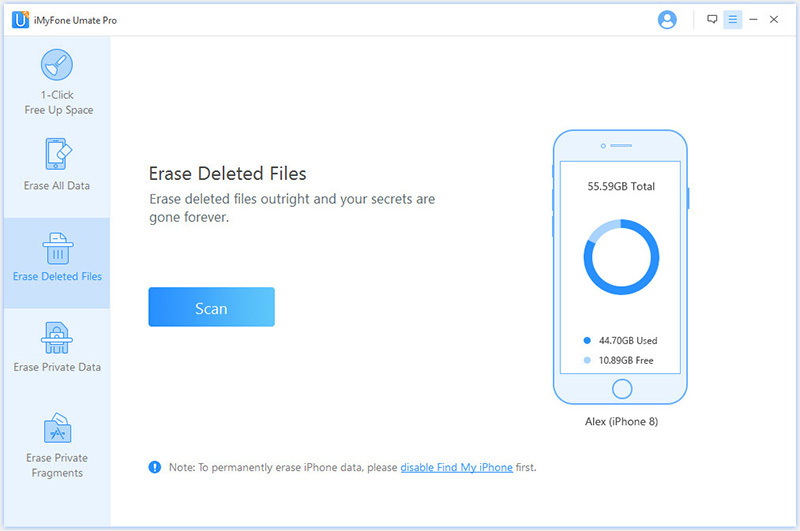 You should erase them permanently, meaning overwritten the data totally, so that they could not be recovered by any recovery tool. 1. Safari: Safari is the most popular contributor to the total cache storage on your iPad. Just to be fair, cache files are not totally useless, as a matter of fact, they are very useful until they occupy too much space. Safari cache ensures pages you regularly visit load faster. However, if you’re an ardent browser, your Safari cache can mount up as high as Mount Everest. Apart from cache chopping into available useful space, having corrupted files in them can cause serious problems like browser not loading or tabs not closing. 2. 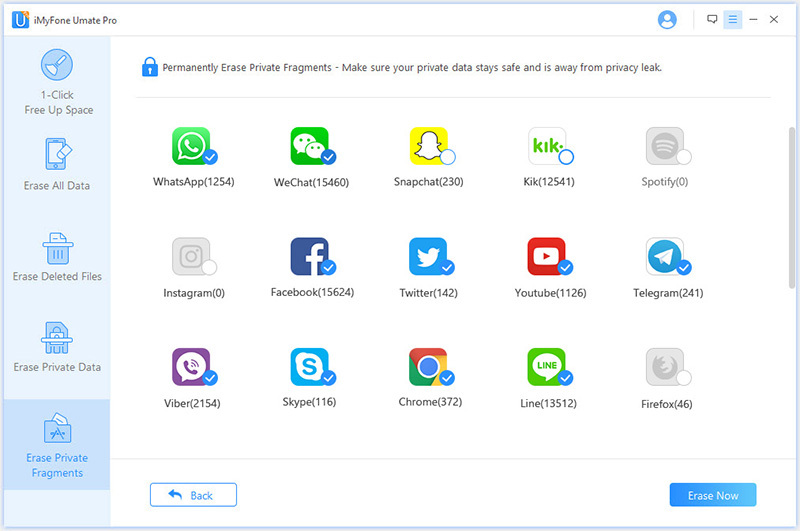 All social media and Instant messaging apps: Social media apps like Twitter, Facebook, and instant messaging apps like Sype and Whatsapp are the kings of cache storage. 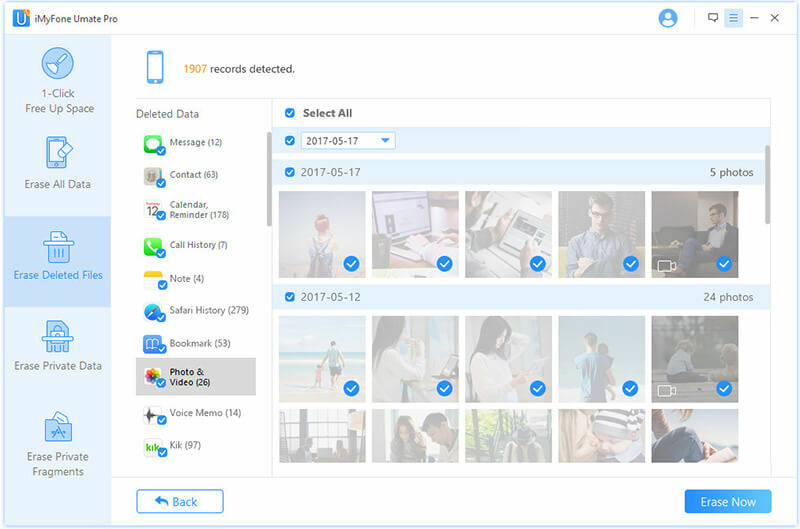 As a quick exercise, check the total storage occupied by your Whatsapp, and you’ll be amazed that it could be up to a GB if you receive plenty media files from your friends. Such amount of storage space can be freed and out to better use. The next part of the article will show you how. 02 Effects of iPad Caches Stored by Safari or Other Apps. It will eventually cause the phone to have performance issues. Corrupted Safari cache files can cause abnormal activities on the browser.